The City Palace Museum inside the City palace contains a unique collection of the dresses, ornaments, paintings, weapons of Kachwaha rulers. The most attractive part of the museum are the two jars which are made up of silver. These two jars are considered to be the biggest and the largest silver objects in the whole world according to the Guinness Book of World Records. The City Palce was built by Sawai Jai Singh II, which is located in the capital of Rajasthan, Jaipur or the Pink City. The palace contains the life styles of Rajputs, Islamic and Europeans. City Palace museum in Jaipur basically has three parts in it. They are named as Textile Museum, Arms Museum and Art Museum. Textile Museum is the first museum that one can see while entering the City Palace area. This museum contains the many ornaments as well as the garments which are worn by the Kings and the other people of the Royal families that belong to the medieval period. The most fabulous piece of the museum is the dress which was worn by Sawai Raja Madho Singh II and it is also the most attractive part of the museum. The cloth used for this garment is basically 190 metres in length as he had a bigger body. Various ornaments as well as the dresses of the queens or the bridal women of the royal families are also there in textile museum. Best thing to be noticed in this museum is the polo uniform of Sawai Raja Maan Singh II. Secondly, we can see the Arms museum of the City Palace. Various kinds of weapons are found here in this museum. We can see the different kinds of pistols and daggers here. Pistols with double barrels, three barrels and four barrels are one of the greatest attractions of the museum. Long barrels guns are also there in the museum that could only be taken else somewhere by keeping them on the back of the camel or elephant as these guns are very heavy because of the long barrels. These guns also attract the various people towards it. Various types of swords, daggers, shields are also kept in the museum to increase the beauty of the museum. The third museum of the City Palace is the Art Museum which is the most attractive out of the three museums. This museum is worth loving by the tourists. One can see the paintings of Sawai Ram Singh in a 3D view, which seems like as he is looking in your eyes no matters you are standing on which side or you are watching the painting from any angle. Sawai Ram Singh was the first photographer of the country and several photographs clicked by him are placed here in the museum. He had made the paintings of Sawai Ishwar Singh using his finger nails are also placed in the museum and this is most attractive thing in art museum. A number of paintings from different art schools and manuscripts of great epics like Mahabharata are written on the rice paper are also been placed in this art museum. The City Palace Museum in Jaipur is a place which one must visit while visting the Pink City in Rajasthan. 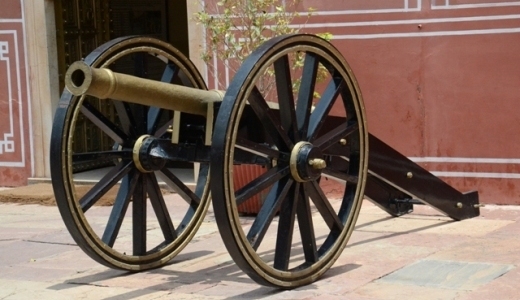 This museum gives us a closer look of the lives of the rulers of Jaipur.